Who woulda thunk it? CROSS STITCH is making a come back...in fact EMBROIDERY, CROSS STITCH, HAND WORK in general is finding it's place among those of us who love quilting. 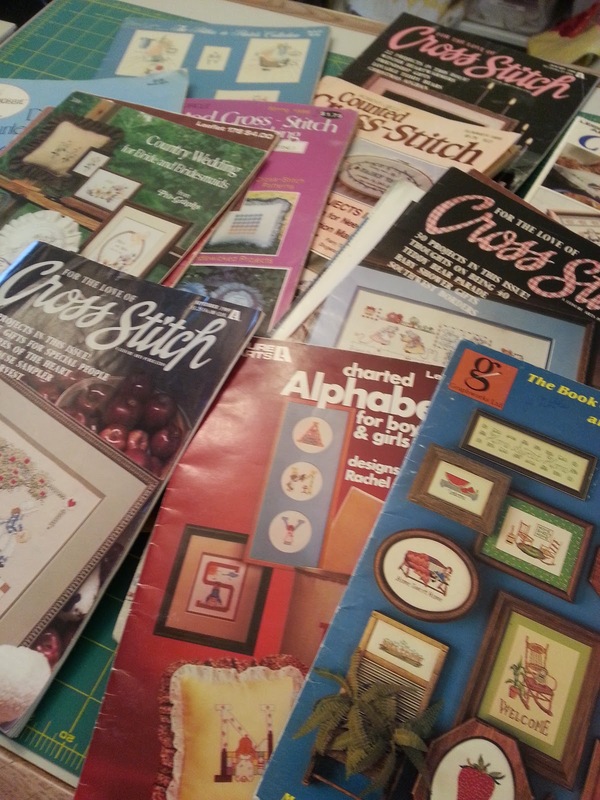 SEW....I went searching....searching for all that cross stitching I had back in the 80's. 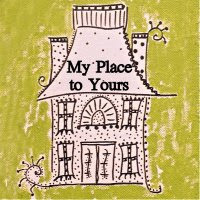 I even have a few pieces hung in the children's old rooms. Pieces that I cross stitched about a Little Boy or a Little Girl with the obligatory Alphabet around the border and their names somewhere in the middle. But alas, there are just so many frames you can hang on walls that change colors and style over the years. Remember Country Blue and Mauve?? That famous color duo was found in every accessory, curtain panel, cross stitch pattern, carpet, wall paint, etc. You name it and COUNTRY was the THEME with Country Blue and MAUVE (that pinkish purplish rose tinted color) as the Color Palet. 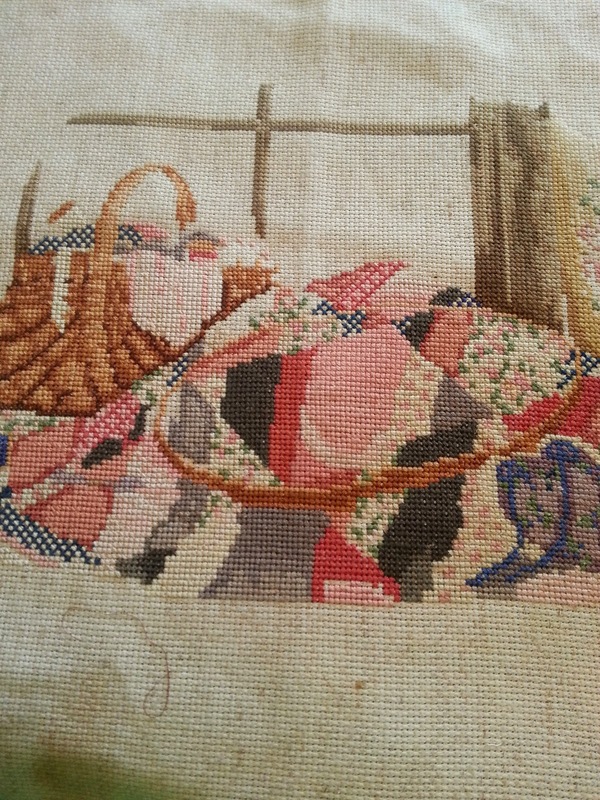 Once we had our walls covered with Cross Stitch Memorabilia the question became...WHY? Why spend HOURS stitching another wall plaque? 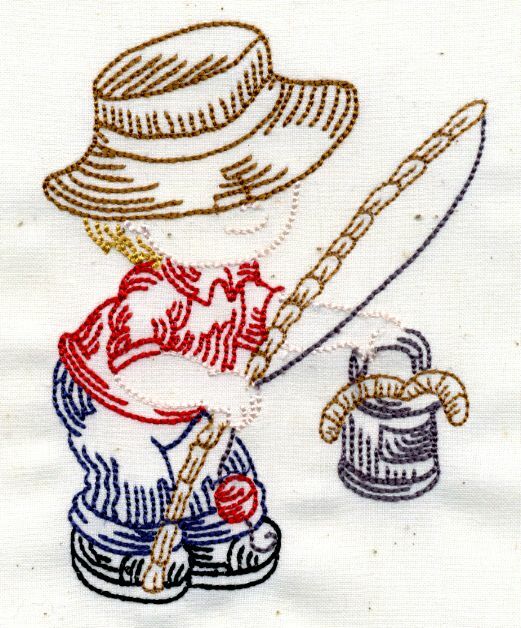 There didn't seem to be more practical or useful ways of using our time intensive cross stitch pieces. 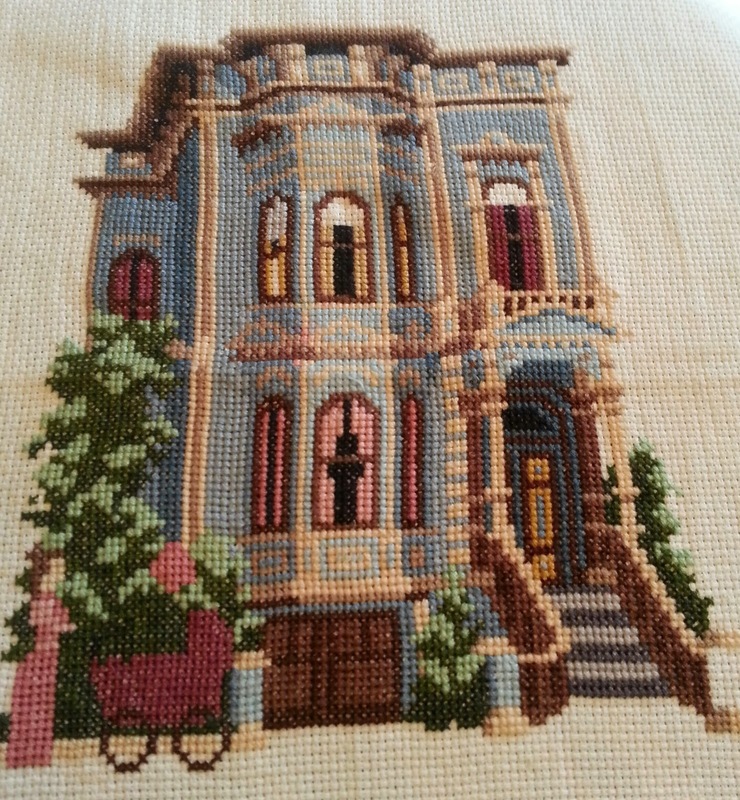 Designers are coming up with a plethora of unique ways to incorporate cross stitch projects into our Quilting and Stitching Projects. 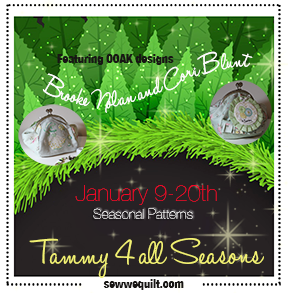 In fact an upcoming Blog Hop sponsored by SEW WE QUILT and the fabulous Madame Samm, The Tammy Bag 4 all Seasons, demonstrates how quickly cross stitch patterns can be stitched up and sewn into a useful "catch all" bag. CHECK OUT THESE "TAMMY BAGS" EVERY WEEK-DAY THRU JAN. 20TH. I have never tried to cross-stitch. I really love all the patterns that I have seen though so I would like to try it. I have some very cute animal patterns that would be so sweet on a baby quilt. Maybe it is time for me to learn. TAMMY BAG OR STREP??? WHO WON?? ?